Facebook's IPO filing contains a lengthy letter from founder and CEO Mark Zuckerberg which outlines the company's 'social mission' and its goals for the future. The multi-page letter, which will be read by potential investors when FB goes public, says the social network wasn't built to be a money-making company but a service to bring people together. Zuckerberg, who famously started Facebook from his Harvard University dorm and oversaw its growth to 800m members, said: "Simply put: we don't build services to make money; we make money to build better services." The letter could be seen as a warning to would-be shareholders not to mistake Facebook's forthcoming IPO for the company changing tact and putting stock dividends above the interests of its mission. 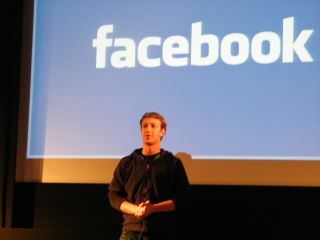 "Facebook was not originally created to be a company. It was built to accomplish a social mission — to make the world more open and connected. "We think it's important that everyone who invests in Facebook understands what this mission means to us, how we make decisions and why we do the things we do. I will try to outline our approach in this letter. "We believe building tools to help people share can bring a more honest and transparent dialogue around government that could lead to more direct empowerment of people, more accountability for officials and better solutions to some of the biggest problems of our time. "This is how we think about our IPO as well. We're going public for our employees and our investors. We made a commitment to them when we gave them equity that we'd work hard to make it worth a lot and make it liquid, and this IPO is fulfilling our commitment. As we become a public company, we're making a similar commitment to our new investors and we will work just as hard to fulfill it..
"We believe that we have an opportunity to have an important impact on the world and build a lasting company in the process. I look forward to building something great together."